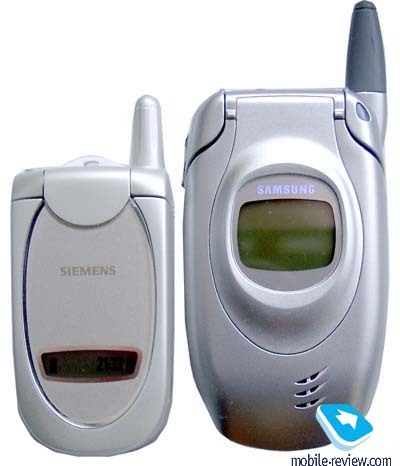 Siemens CL50 is the first folder type phone from Siemens. 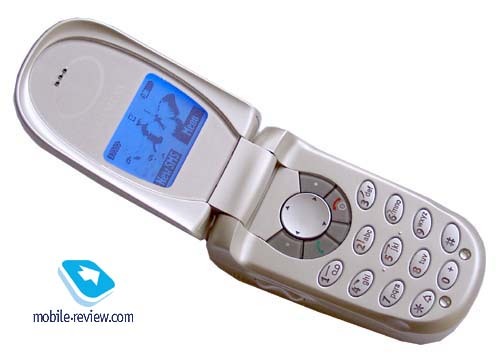 In the beginning this phone was aimed exclusively to the Asiatic market, European delivers were not presumed. So, engineers and designers paid more attention to the phone design, not to the technical features. Such decision is understandable; a majority of GSM-folder phones are not technically advanced models and CL50 is rather attractive against this background. But Asiatic market met this model coldly, probably, because of a specific psychology of customers. People in Asia prefer phones of medium and large size to small ones. Vice versa, Europeans has a robust constitution and they like small, even tiny things. CL50 would be an interesting offer for European market. Firstly, it has a typical European design – very small dimensions and, secondly, Siemens is a popular brand. The phone is available in two colours: Champagne Gold and Perl White. 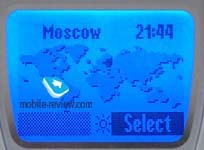 In contrast to other folder phones an antenna of this model has the same colour as the case and all parts of the phone harmonize with each other. It’s difficult to imagine true phone dimensions while reading specifications or viewing pictures of CL50. It looks great in reality. Phone dimensions are 73 x 39 x 22 mm and it weighs only 70 g. It is definitely one of the smallest and lightest phones on the market. If to take into account only folder type phones, they all lose to this product from Siemens by this parameter. The phone could be lost in a hand, it’s very comfortable to wear in a pocket of a shirt, and you really don’t feel the weight and size. Such compact dimension has one minus: it’s very easy to loose the phone. 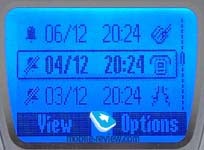 When the phone is closed, the user sees an external screen, which can display one line. A signal level, date, time and a battery status are shown here. 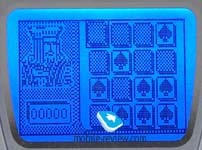 Screen backlighting is deeply blue; it is gradually turns on and turns off. 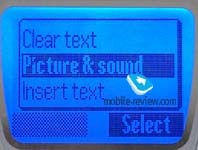 You can switch on a backlighting pressing a volume key, placed on the left-hand side of the phone. You can also reject an incoming call using it. External backlighting activates a backlighting of the internal display. Of course, it slightly reduces energy consumption. A charger connector is positioned on the bottom side of the phone; it differs from the other charger connectors, which were used in the other phones produced by this company. A portable handsfree connector, a hole for the strap and a service indicator are located on the upper side of the phone. LED is placed on the edge of the strap hole; construction is unusual but very nice. When you open or close the phone you’ll hear a click. 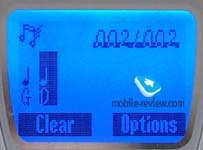 An internal display also has a deeply blue backlighting. The dimensions of the screen are comparable to the phone size. 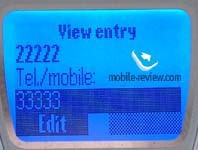 The display has a resolution of 112х64 pixels and contains up to 4 text lines (16 characters each) and one service line. Font size is not large, but the information is quite visible. A screen has a 4-level grayscale, this feature can be used in games but practically doesn’t play any role while using usual modes. By the way, if you set wallpapers, then, you understand why you need grayscale support. Alphanumerical keys are large and well spaced, but they are deeply placed into the phone and it’s not convenient to dial a phone number. After a week you get used to the keypad but nevertheless, touch the nearby keys. People with small hands, and respectively, tiny fingers, don’t have such problems. 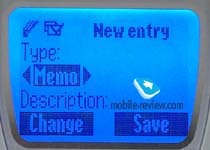 A 4-directional navigation key, soft keys and send/reject keys, which are positioned under the screen, are handy. In spite of that they are spaced rather closely to each other, there are no problems to use them. The keypad has an orange backlighting; all characters are quite visible in all lighting conditions, though the backlighting is weak. 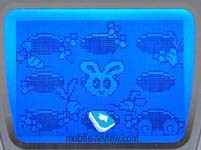 The phone is equipped with a lithium-ion battery of 600 mAh. According to the manufacturers autonomy of the phone is up to 220 hours in the standby mode and about 4.5 hours in the talking mode. 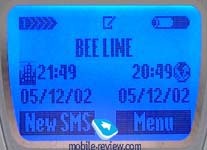 In reality the phone worked 3 days in case of 1 hour and 15 minutes of talking (Beeline Network). It is a record for such a compact phone. Lesser active using of the phone allows to prolong an operating time up to 4 days. Time of the full recharging is about 1.5 hours. A rear cover has a small backlash, which isn’t felt while using the phone. An upper part of the handset has also a small backlash but you don’t notice it until don’t begin to find it. 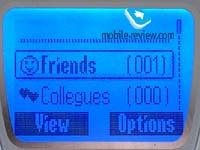 Both the screen and the menu interface are typical to any phones from Siemens. There is a shortcut number navigation and a possibility to add some features to My menu. You can also associate a left soft key to one of the frequently used menu items. Four functions are associated to 4 directions of the navigation key, what also allows to easy the navigation. 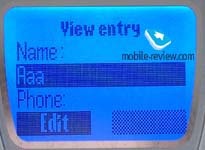 If you have ever used a phone from Siemens, you won’t have any difficulties with the menu. Let’s turn to the functions of the phone. Phonebook. Up to 100 phone numbers can be recorded in the phone memory. 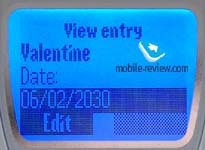 Up to 3 phone numbers and 1 reminder about the date (anniversary, birthday or Saint Valentine’s day) can be added to one contact. There are 5 caller groups in the phone. You can associate an icon to each of them. But, unfortunately, there are not much pre-installed icons in the phone. You can also add your own melody to each name or caller group. There is a quick search by first letter in the phone list. Messages. CL50 supports EMS standard, so, there are pre-defined animated and static pictures and melodies in the phone. 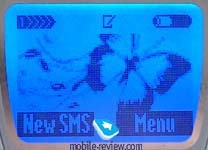 There are 10 pre-installed templates to create usual SMS messages. A user can change each of these templates; moreover, there are 5 empty fields to record own templates. 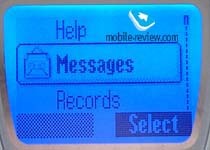 Up to 100 messages can be stored in the phone memory. This model allows to send a group SMS message. Concatenated messages are also available. Other possibilities are traditional. Call lists. 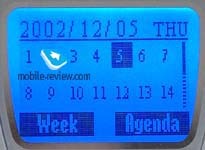 As always 10 received, 10 dialed or 10 missed calls with date and time indication are kept here. Duration of the last call, all incoming and outgoing calls and all calls is also can be viewed here. Office. 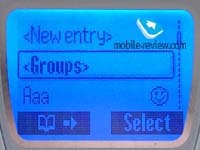 An access to the phonebook (to the phone memory and as well to SIM-card memory) is doubled in this menu. All settings connected with date and time can be found here too. 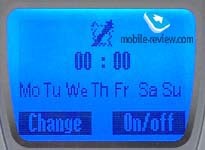 For example, alarm clock, which can alert in special days of the week, world time function are located in this menu. It’s unusual that time and date for the second city can be displayed in the standby mode if you set it properly. You can also set an auto power on/off function in the menu Time. This feature enables to save battery power. 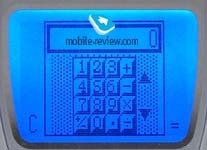 A calculator is rather handy due to tips, which are displayed on the screen. There is also a currency converter in the phone. Organiser. 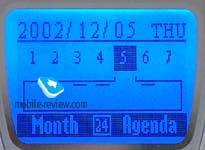 Only two or one week of the calendar can be shown on the screen. In the latter case there is a special line to show reminders for certain days. By the way, reminders are shown only as accentuations here, not as text lines. But if you want to see them you should, anyway, switch 8-hour workday to 24-hour, otherwise not all records will be displayed. Signal reminders could be set to some of the notes. Totally, up to 50 notes can be recorded in the phone memory. An advantage of the organizer is that it’s possible to view all records sorted by types in separate lists. Profiles. There are several user’s profiles in the phone, which can be changed by your desire. 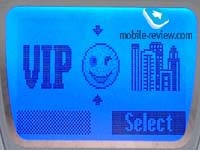 Such parameters as audio settings, vibrating alert and others can be easily changed. Fun&Games A Wap-browser (version 1.2.1) is placed here; it works quite well. A melody composer is also located in this menu. Up to 3 melodies can be recorded as notes and up to 10 ringing tones can be received via SMS messages. There are lots of small animated pictures and nice static images which you can choose in the Picture menu. They are similar to the pictures found in other phones from Siemens. Games. 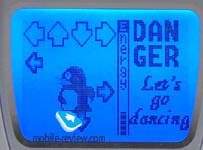 There are 3 pre-installed games in the phone: Funny Toggle, Wacko, Dancing. You need to change all cards faces to the same one with as few tries as you can. It’s not easy, because you can change only faces of several cards at once. In Wacko you should catch either mice (in case if you have mice and rabbits) or skulls (in case of skulls and bombs, as you like) by pressing any button from 1 to 9, when you see them. In the third game you play a role of a penguin’s dancer teacher. It’s not easy to make him dance. Audio. All sound settings are kept here. All the ringing tones are polyphonic (4-tones polyphony). As we’ve said above totally up to 20 pre-installed melodies are available and there is a possibility to record new ones. The phone has too compact dimensions, that is why, we were interested how good it operates. All our doubts disappeared after several hours of using. CL50 has an excellent quality of connection; there were no dead spots or something of that kind. Volume of the loudspeaker is sufficient, the sound is clear; you can easily hear the caller. 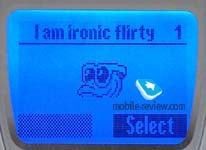 A vibrating alert is rather weak, it’s possible to feel it only, when the phone is in a pocket of a shirt not in outer clothing. It’s was pleasing that the volume of the incoming alert is rather loud, probably, you can miss a call in noisy places (at the disco or bar etc.) but it is a shortcoming of all minor phones. Here you can listen to some of the ringing tones of the phone (mp3, 700Kb). The phone is targeted to women, namely they like such small phones and don’t pay great attention to the “inside” part of the phone. Lack of IR-port, GPRS, voice dialing are minuses for man, not for woman, who prefers fashion to technology. This phone promises to be successful, now only Samsung A800 is available in this phone class but it loses in dimensions, weight and operating time. Moreover CL50 has one more advantage: a popularity of the brand. Probably this handset will be officially delivered to Russia too. An expected price of the phone is about 300 USD. We think that it would be an ideal present for many women in March.